This paper is based on an ongoing ethnographic research project conducted in the borderlands between Colombia and Venezuela, in particular the Colombian city of Cúcuta. There is a thriving smuggling trade between the two countries caused by Venezuela’s economic crisis and the extreme devaluation of goods. The area has become one of Colombia’s ‘hottest’ regions due to the proliferation of armed gangs that make money by smuggling of contraband, especially petrol. 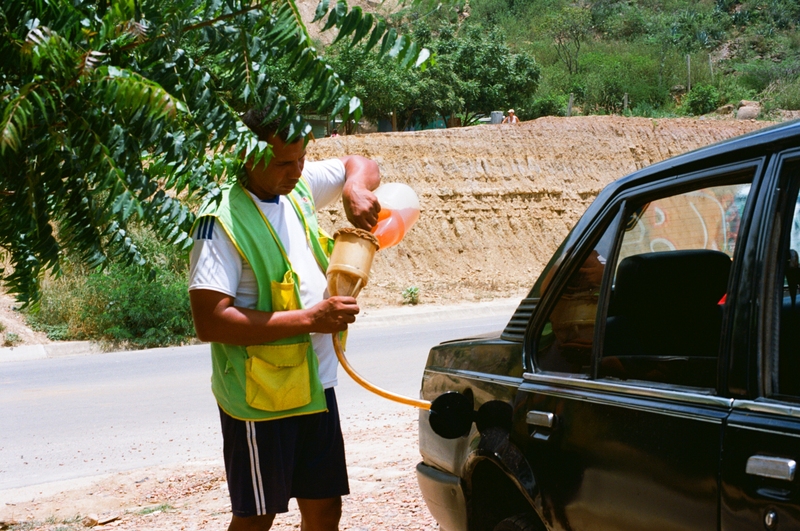 The article aims to describe how petrol vendors, transporters and smugglers conceptualise the state and how they negotiate and interact with state actors present in the borderlands. It engages in an anthropology of the state through the ethnographic lens of organised informal workers. Starting with a theoretical framework, it criticizes attempts to do anthropology in the margins of the state for its uncomfortably Hobbesian vision of the world, and settles instead on a ‘critical phenomenology of power’ (Krupa and Nugent 2015) as a methodology. It goes on to introduce two pimpinero trade unionists and the struggles of running petrol from the border as well as of political organising. The final section analyses this struggle as ‘insurgent citizenship’, a citizenry’s bottom up attempt to claim full access to their rights as citizens (Holston 2013), as well as ethnographically justifying the need for a conceptual borderland region. All informants’ names are anonymized apart from two trade union leaders who requested not to be anonymous.